I never appreciated a comfortable mat when washing dishes or cooking in front of the stove until I started using the Mohawk Home Timeless Traditions Kitchen Mat. I always looked at a mat as a way to absorb any water that would splash out of the sink. 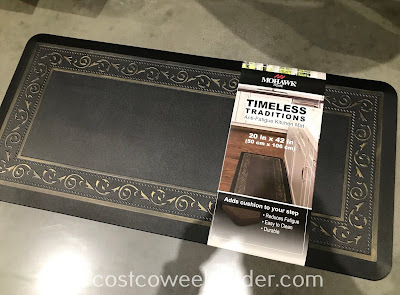 But after using the Mohawk Home Timeless Traditions Kitchen Mat for some time, I now realize the need for it. But after slaving over dirty dishes for some time, I learned that you really need to give your feet a break using a soft, comfortable and anti-fatigue mat. 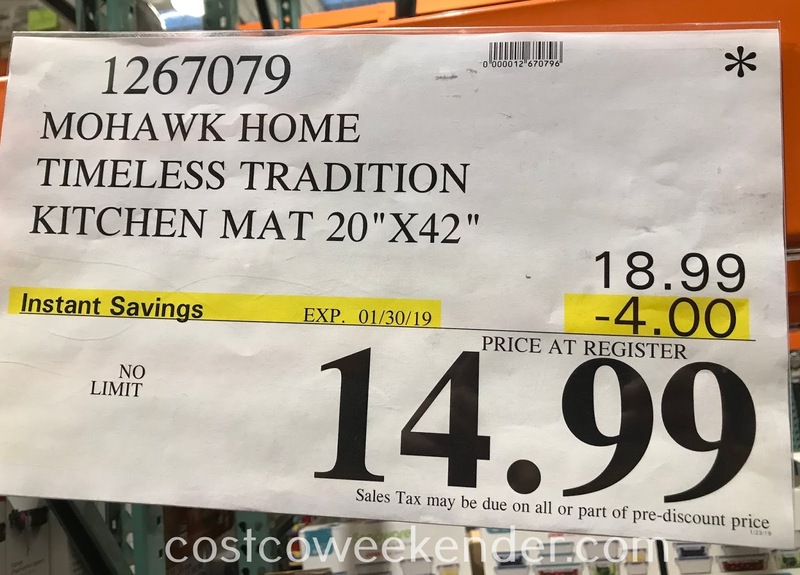 I also like the way the Mohawk Home Timeless Traditions Kitchen Mat looks. You probably put a lot of time in the way your kitchen looks...from the color of the granite counter tops to the texture of the splash guard. So why not have a good looking mat too? If staying comfortable and having a better-designed mat are important to you, then check out the Mohawk Home Timeless Traditions Kitchen Mat from Costco.